In Iceland, I saw some of the most beautiful sights I have ever seen. 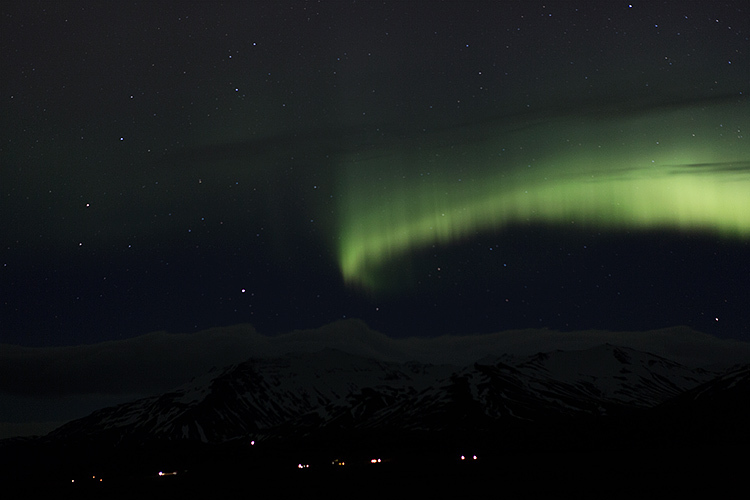 It's a bit difficult to even process how much beauty (or I'd even call it magic) I saw in those five days in Iceland. I am so grateful to everyone that made this trip possible and for the people I met along the way. One of the most amazing parts was how quickly the weather and consequently, the scenery, changed before our eyes. If I went back now to the exact spots I shot, I know it may look completely different. I first came across this quote in the first issue of Wayfare magazine and I couldn't help but use it here. I left Iceland feeling inspired, overwhelmed and humbled. Nature make me feel small in a way the city doesn't. A sky full of stars is something I'll never get here. While I am a city girl at heart, I realized I need more healthy doses of nature in my life. My words nor my photos do this experience justice. I can't recommend visiting Iceland enough to see it for yourself. I am, for sure, returning as soon as I can. Amazing! I feel the same way when I'm out in wild nature like that. What an amazing thing to see (also on my bucket list). So beautiful. My fiance and I are headed to Iceland in a couple of weeks. As soon as I saw that you're headed there, I texted him to check out your instagram feed and then we both marveled at all the scenes. We hope we're lucky to see the northern lights too! like you, the lights are definitely way up there on my bucket list...but unlike you, I've yet to see them! I've loved following along on your adventures on instagram/twitter...can't wait to see more of your amazing trip here! ahhhhhhhhhhhhhhhhhh. too excited for you. i hope i'll see them too. I loved this! That phrase hit me right in the middle of my heart! Absolutely incredible!!! On my bucket list too. Sounds like a life changing experience. Your photos are gorgeous. Amazing. I am envious; have gotten nowhere near to seeing this phenomenon. Glad you got to tick this one off your bucket list. Truly an amazing and beautiful experience! OMG this is incredible. ONE DAY! that is EXACTLY how I felt upon visiting New Zealand. 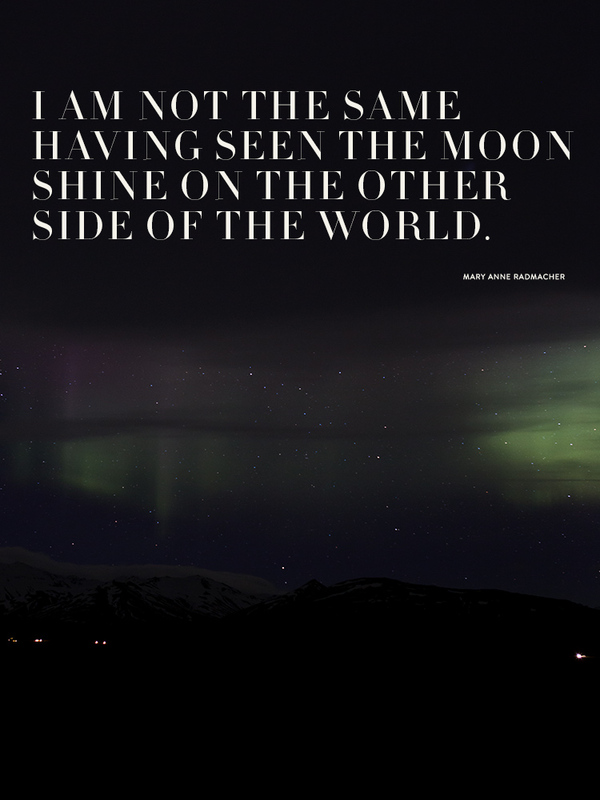 I went to Iceland in 1999 for a mini vacation and came away feeling the same way. It is so incredibly beautiful and humbling to see nature at her finest. It is a place I want to take my children and husband because they need to experience it with their own eyes. I follow you on Instagram and enjoyed being on the journey with you - thank you for sharing. Such beautiful images! I felt the exact same way when I visited Iceland almost 4 years ago. My little brother lived there for a summer (lucky him!) and to me it is such an underrated, not often thought about destination. I plan to visit again in the next couple years. Hope you get the chance to return someday! I lived in Iceland one year and I have never seen more beautiful landscapes than there! I have travelled there back few times and always I'm fascinated by the nature. I also get a bit tired cause I can't sleep while driving from one place to another, otherwise I would miss some beauty :)! These photographs of the Northern Lights are so magical. Having marvelled at numerous Instagram posts of yours over the past few days, I am filled with a desire to visit Iceland for myself! My wanderlust-sick heart aches for this post. Pretty amazing stuff Alice. Sounds like you had a great time! Your photos from Iceland on instagram made my heart leap. Iceland is a place I would love to see, but for some reason, probably how different the language is, I've never gone. Now I'm inspired to go all over again. And I loved seeing your Iceland trip photos via Instagram. going to iceland to see the northern lights have been in my bucket list for a while now and i have to go there one day! i have been really enjoying all your photos, love love love. I saved this post to read later when it was first posted, because my family and I are thinking of going to Iceland this summer, and this post reminded me about how behind I am on planning! I have always, always wanted to see the Northern Lights (I don't/can't make a bucket list, but seeing them is still on it!). I loved seeing your Instagram photos of your trip, and that quote does seem to fit the idea of traveling so perfectly. Thank you for sharing your trip — and these photos — with us! I feel the same about Iceland. All are very good tour and travel service provider agents in India. They are providing very good and comfortable service with the beautiful offers for travelers. Thank you so much. Traveling is very adventurer part of our life so enjoy full in your life and travel various beautiful places and make your memory happiest and memorable.